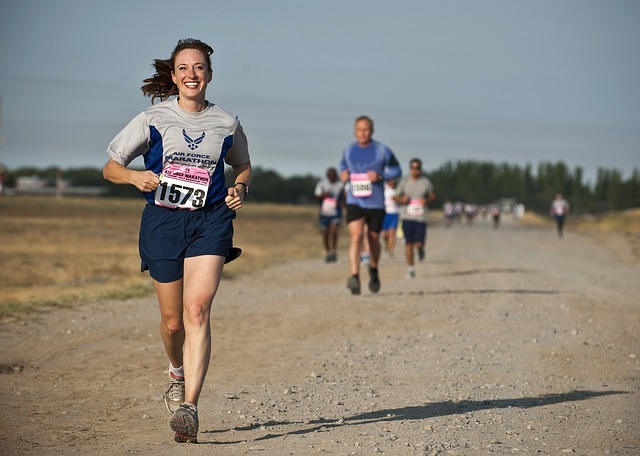 Running consumes much energy which makes many runners give-up halfway because their legs become too heavy. Fortunately, you can boost your power and performance by taking .”pre-workout running supplement. There are thousands of workout supplements in the modern market. Some runners prefer stimulants, but they are too short in duration. That’s why you need supplements to boost your energy throughout your workout. When buying a pre-workout supplement, consider the ones with low levels of caffeine and creatine. Look for nutrients that can improve your stamina and endurance. Most runners do a pre-workout running session to improve muscle endurance and for respiratory fitness among others. 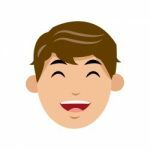 Every brand available in the market will promise you how good it is and you might easily get confused about which one to pick. That’s why we have come up with a list of top ten pre-workout supplements for running that will work for you perfectly. Amino energy fulfils a variety of needs of an athlete. Unlike other pre-workout supplements, Optimum Nutrition provides this kind of energy instantly. A runner can use this product any time like in the morning, before training, during training, and after training. 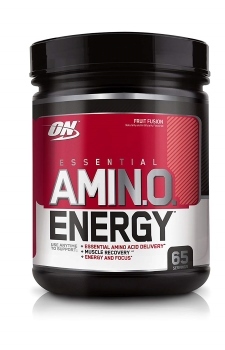 Optimum nutrition is made up of two main ingredients which are the amino blend and energy blend. 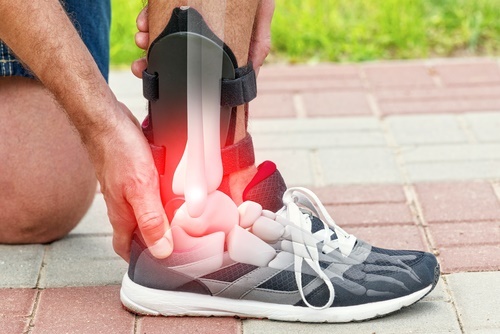 A runner should take it before or after exercise. The amino blend has L-Arginine which helps in enhancing performance and stamina, L-Isoleucine which helps in boosting muscle cells, L-Leucine for balancing body nitrogen level and Beta-A. Energy blend provides caffeine, green tea extract, and green coffee extract as stimulating ingredients. Runners prefer Optimum Energy because it has an amazing taste, boosts focus, endurance, and performance through its amino acid content. However, its high amount of caffeine and artificial sweeteners makes some athletes uncomfortable while using the product. 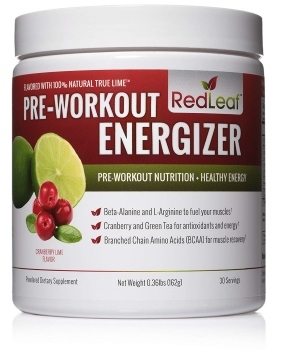 Red leaf pre-workout is a product of Integrated Sports Nutrition Company. According to this company’s formula for this product, it has great energy and fitness-enhancing benefits. Consumption of this product yields great benefits during pieces of training. Unlike other supplements, the red leaf contains natural substances which make it a favourite drink during intense training sessions. It also comes in a tasty fresh flavour of cranberry-lime. It is to be mixed with water before it is taken. Also, Red leaf has the following ingredients which make it effective during workouts. It has L-arginine AKG for blood circulation, Cranberry for antioxidant protection, Beta-alanine which reduces muscle fatigue and improves endurance during training. In addition, it also has caffeine to increase energy, Raspberry Ketones for fat burning and Amino acid blend for muscle recovery process. Athletes prefer this supplement because it has a pleasant taste, fuels the muscles, increases energy levels, and promotes muscle growth and development. 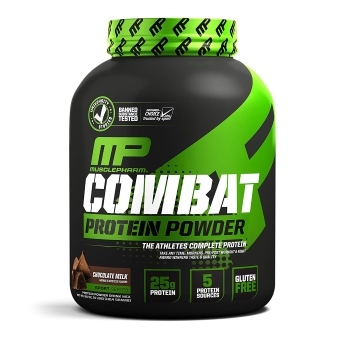 This pre-workout is made by Muscle Pharm which promises to enhance athletic performance, strength, stamina, and overall personal health using safest nutrition products. Every runner demands a superior protein content to maximize lean muscle growth and recovery from the wear and tear. 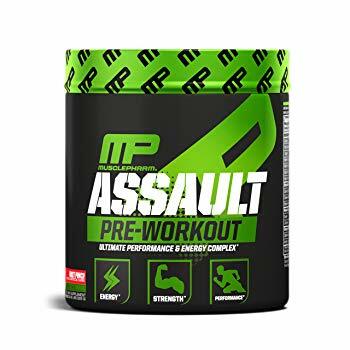 MusclePharm Assault Pre-Workout is created with a variety of nutrients that can be digested at diverse rates thus fueling muscles for long. It can be taken 20 to 30 minutes before training. Moreover, it contains BCAAs, 12 Grams of Fiber, Glutamine, and digestive enzymes. It comes in diverse flavors like fruit punch, blue raspberry, green apple, and strawberry ice. It mixes easily with milk, water, fruits, vegetables and almond milk. 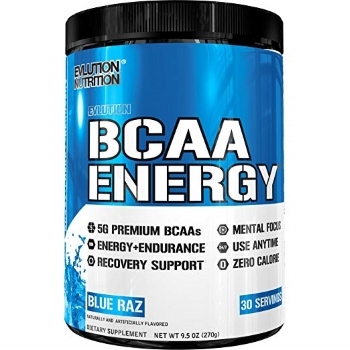 This is a product from BCAA Energy that has been designed to boost the energy, recovery, and performance needs of a runner before, in the middle or after their workouts. The Evlution Nutrition is made of natural energizers and various antioxidants made from Green Coffee for energy and focus during the workout. It can be taken anytime during your workout. Evlution Nutrition contains BCAAs at the highest level and various natural energizers. BCAAs are great sources of energy anytime giving endurance and muscle repairs. It has no sugar or carbs. It contains Beta-Alanine which helps in buffering lactic acid, L-Alanine which helps in glucose production, Taurine which supports hydration of cells, and Vitamin B and C Complex which support energy levels and supports the immune system. It is by LEGION and contains no proprietary blends and every serving delivers almost 20 grams of active ingredients that improve performance. It is naturally sweetened and flavored without any artificial food dyes or fillers. The main focus is to increase energy, blood flow, reduce fatigue, sharpen focus and improve muscular endurance. It’s naturally proven through scientific research. 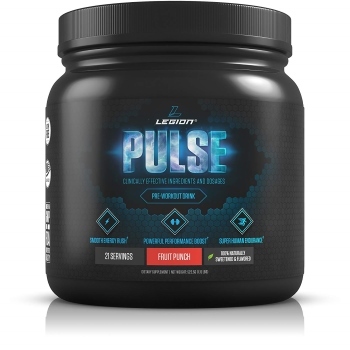 Pulse contains Citrulline Malate which improves muscle endurance and performance, Ornithine which reduces fatigue and burns fat, Beta-Alanine which improves anaerobic exercise capacity, Betaine which increases strength, Caffeine for muscle endurance, and Theanine which reduces effects of mental and physical stress, keeping the runner alert. It has a low-calorie natural sugar alcohol, stevia, and erythritol. As a runner, are you looking for a supplement which can help you do workouts even on an empty stomach and reduce muscle strain? In that case this supplement is the best one for you because of its amino acid content. It is a unique product which has vegetable content which acts as antioxidants and reduces cellular damage during exercise. This supplement has nutritious value because of the vitamin B6 which is also essential in muscle retention. 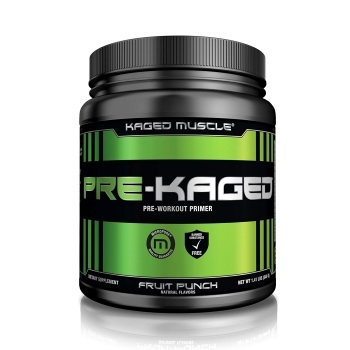 PRE-KAGED has a high caffeine content of about 274 mg which is equivalent to two cups of coffee, beta alanine to boost the muscles and endurance, citrulline to regulate blood flow, betaine, and creatine which are sources of power. To boost focus and determination, this product has a considerable amount of taurine and tyrosine. It has a pleasant apple taste which is somehow strong because of the presence of chain amino acid. The price of PRE-KAGED is justified. 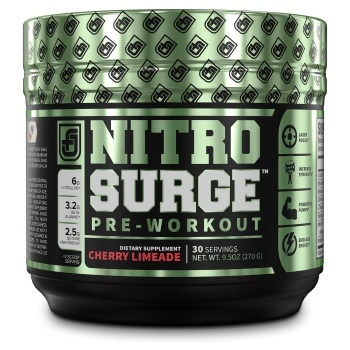 NitroSurge pre-workout is designed to provide a runner with endless energy, strength gains, endurance, and muscle build-up. It doesn’t rely on stimulants that make you feel as if the pre-workout is working, instead it has proven performance-boosting ingredients. The product is from Jacked Factory and their product has scientifically effective doses and the contents are very transparently listed on the label. Use it 30-40 minutes before your work out. NitroSurge is one of the top pre-workout muscle building and fat burning drink. This is possible due to its ingredients like Betaine, L-Citrulline, Caffeine, Beta Alanine, and Theanine among others. It enhances blood flow to muscles due to Nitric Oxide contained in it. To achieve maximum results use it jointly with a healthy diet, have a responsible lifestyle and do exercises regularly. This is a favorite supplement for light athletes, more so for women athletes. That’s because it has a lower level of caffeine which is about 100 mg which is equivalent to a cup of coffee. It has Strawberry Margarita flavor and several other ingredients to boost endurance, determination and focus. This supplement as its name suggests ignites the conversion of fat into energy which promotes a healthy body composition. 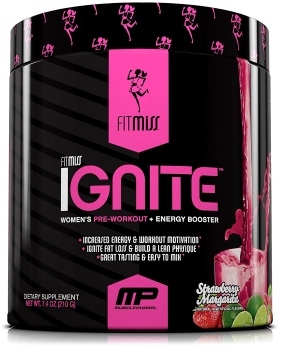 The natural and artificial flavors of FitMiss Ignite is suitable for a variety of athletes having different preferences. Its ingredients include betaine anhydrous linked with power output, Glutamine to boost nitric oxide and blood flow and choline to delay fatigue. The presence of carnitine regulates fat loss and muscular control. Other ingredients include tyrosine, taurine, carnitine, choline, and beta alanine. Unlike other pre-workouts which have a high level of caffeine of 3.5g which is about three cups of coffee, this product has low levels of caffeine hence it is mostly preferred by light athletes who are affected by caffeine. 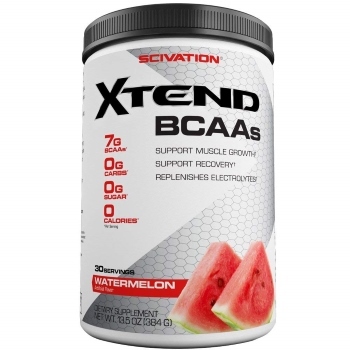 Xtend pre-workout is branched chain amino acids (BCAAs) by Scivation. BCAA promotes protein synthesis, reduces body fat, boosts endurance and energy during training sessions. Runners use these products for body strength, endurance and for a better performance. It is the only BCAA product that is certified by NSF and Choice. In addition, the ingredients of Scivation Xtend include a blend of amino acids such as Isoleucine, Leucine, Valine, and Glutamine which protect your muscles from muscle cramps. It also has vitamins and electrolytes to give nutritional benefits. This supplement does not contain carbohydrates or sugars. It is available in the market in fourteen different flavors such as grape, watermelon, and blue raspberry. 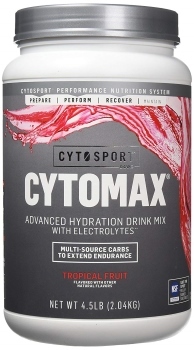 Cytomax is the best pre-workout for runners who are looking for energy, strength, endurance, proper hydration and reduced fatigue while running long distances. It has lactic acid which helps in relaxing your muscles after a long run. Many athletes love this product because it works faster and doesn’t contain artificial colors. It also helps in reducing the burn of lactic acid and does not interfere with the user’s weight. This pre-workout product contains 22 grams of carbohydrates. The ingredients include 120 mg of sodium, 6 mg of calcium, 60 mg of magnesium, amino acids and vitamin C. Its complex carbohydrates stabilize blood sugar during your exercise without sugar “crash”. It is also available in the market in different flavors like grape, tropical fruit, tangy orange, and pomegranate berry. In summary, just because a certain workout worked for someone else doesn’t mean that it would work for you as well. The same is the case with the tastes of different flavors. Some may say that it’s great while others may say that it’s awful. For this reason, you need to keep trying various brands until you hit the right one. However important these pre-workouts are, it is good to skip them and run without any boost. In the end, don’t overdo them.